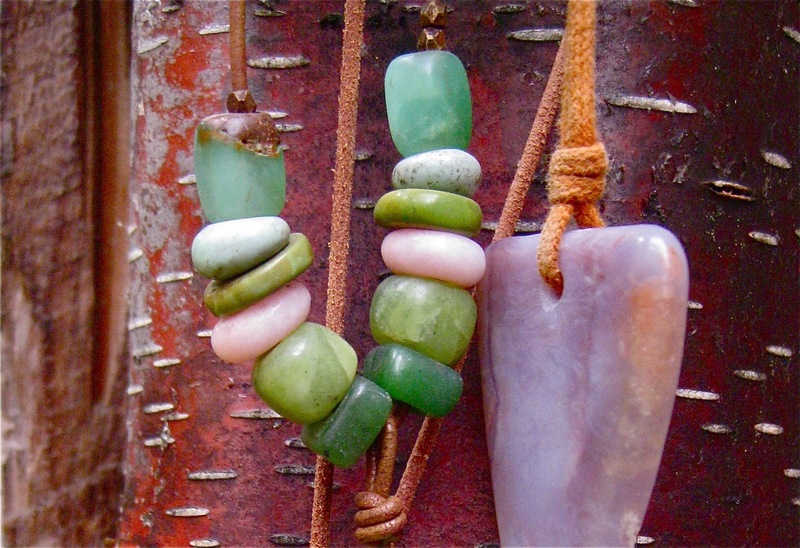 In over ten years of making original stone jewelry the greatest and most honest compliment I have ever received came this spring from a lovely baby. 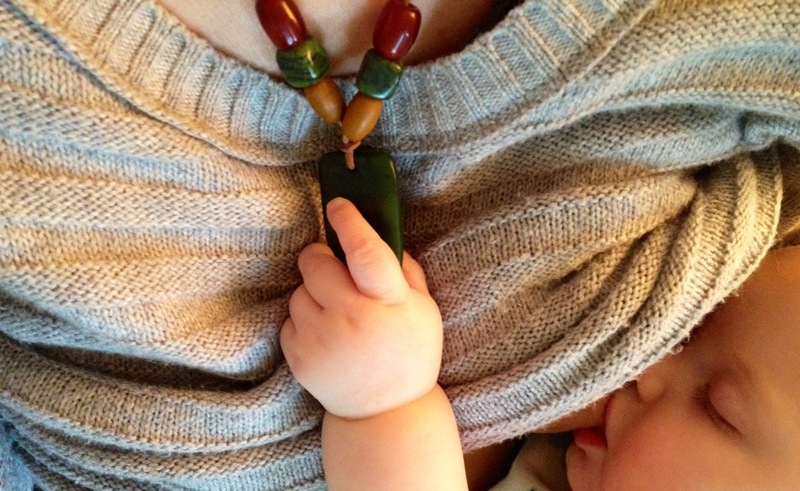 Her mama wore this necklace through pregnancy and birth, and the tot took possession of it early on, already knowing this totem will ultimately be worn by her. Thanks to her ma for sharing the image.